The car starts to shimmy as the train picks up speed through the tunnel. We’re riding the Metro into the heart of Mexico City, swaying into the bodies of others from time to time, apologizing in Spanish. 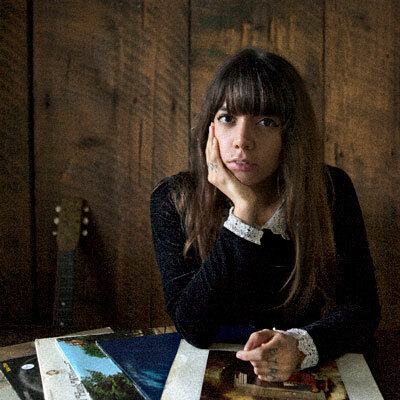 Alynda Lee Segarra, the singer and songwriter behind Hurray for the Riff Raff, is tucked into a corner, holding a handrail, and smiling as she talks about her new album, The Navigator. The album will feature songs that tie together themes of movement, displacement, and identity. Somehow, riding anonymously among a crowd in a fast-moving train under the Western Hemisphere’s largest city seems an appropriate place for an interview. When we switch trains, I suggest she move to the cars at the front, which are reserved for women and children only. This is a recent phenomenon on Mexico City’s subways, where women regularly had to deal with being groped on crowded trains. Alynda disappears onto the other side of the barrier where a guard stands to prevent any men from crossing over. A few stops later, we reconnect on the platform. A month later, we’re in a café in New Orleans, discussing things further, when she tells me that the trip to Mexico City (her first) put a new perspective on her life, her career, and her idea of home. It’s a big shift from the twenty-one-year-old street performer I met when I first moved to New Orleans. Like a lot of artists who came to the city in the years right after what many refer to simply as “the storm,” the greatest constant of Segarra’s life had been movement. She’d left her home in the Bronx at seventeen, hopping freight trains across the country, singing and playing music with bands that would form for a single night or for months at a time. After she got her hands on a banjo, she began to write her own songs, and began performing them on the streets. Her songs struck people. I remember seeing her perform in a bar for the first time in 2008, and there were already voices in the audience singing along with her songs. While camping one night at the Woody Guthrie Folk Festival in Oklahoma, I heard a group of people around a bonfire singing her song “Daniella.” Not one of the people around the fire knew Segarra personally, and the song itself had appeared on an independently released record. But 600 miles from New Orleans, people were already singing her music. To say it’s been a long journey from the projects of the Bronx to the streets of New Orleans to touring and performing on international stages is an understatement. But the journey, as Segarra describes it to me, is a large part of the thrust of her new album. It’s not simply the external movement. Some of that navigation has been about a deeper journey into identity. Racial identity. Gender identity. What it means to be human. What it means to attempt to navigate the self in these times. These are ideas that have come to the forefront for Segarra, and also part of what fuels her desire to return back to where she started. Of Puerto Rican descent, Segarra has been examining, and writing, more and more what that means, and where that influence is coming from now. From the Young Lords, a group that advocated Puerto Rican independence and became a political force in ‘70s and ‘80s New York and Chicago, to Puerto Rican and Nuyorican poets like Julia de Burgos and Pedro Pietri, Segarra is drawing inspiration from an exploration of self that was difficult when she was younger. History, and identity, are at the forefront now. There is a deeper commitment to this in her choices as a songwriter, and as a working artist. It’s not an accident that she is timing the release of the new album’s first single for October, just in time for the election. The question of identity extends just as strong, if not stronger, into gender, something that Segarra says is at the forefront of her thinking — and her interactions — now (“It’s every day, all the time”). This might be best exemplified by her stunning single “The Body Electric.” A virtuoso rebuke of murder ballads and the casual culture of violence against women, the song was called “The Political Folk Song of the Year” by National Public Radio and chosen as the song of the year by American Songwriter Magazine. But as much as the ideas of identity factor into the music, there is a sense of place present in the music as well. Whether the place be New Orleans, New York, Puerto Rico (which Segarra has visited twice in the last two years), or the open highways, Hurray for the Riff Raff’s music rings with the joy of creation with other musicians, other artists, other cities. The combination of joyous and tender work offered on the album Small Town Heroes — the band’s first album steered from end to end with a label — helped it break into the Billboard Top 200. The Navigator will be their second album with ATO Records, who count Okkervill River, Old Crow Medicine Show, and the Alabama Shakes among their signees. But it will be the band’s sixth (or seventh, or eighth, depending on how you count them) overall. The previous records were independent releases, with the album Look Out Mama being funded through a Kickstarter campaign. “I think New Orleans taught me not to write with the idea of getting wildly successful,” says Segarra. But now that the attention is coming, she says she feels more prepared for it. Looking back across the range of albums that came along well before Rolling Stone named their last one as one of the 50 Best of 2014 firmly squashes the notion of overnight success. This is a success that’s been in progress for over a decade. And if there’s another theme to the idea of navigation, it might be that navigating that success at this point in life centers around a strong sense of identity. There’s a sense of a journey circling back on itself. From leaving home and going on the road, to building a new community in the wilderness, to circling back to where she started. To see Segarra at work today is not just to see and artist coming to terms with herself and sharpening her voice, but to see a seeker who is finding her way home. The Navigator will debut in March of 2017. The first single off the album will debut this October. 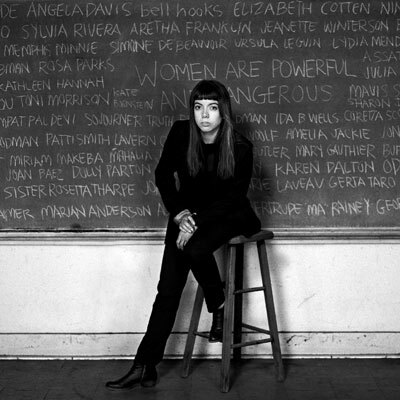 Hurray for the Riff Raff is Alynda Lee Segarra, but in many ways it's much more than that: it's a young woman leaving her indelible stamp on the American folk tradition. If you're listening to her new album, Small Town Heroes, odds are you're part of the riff raff, and these songs are for you.